Cane Palm | Because you deserve a break! Cane Palm – Because you deserve a break! 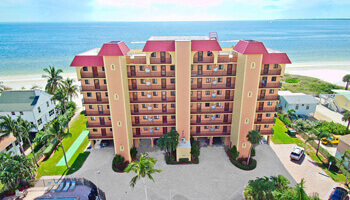 Cane Palm Beach - a piece of the Florida paradise located on Fort Myers Beach. 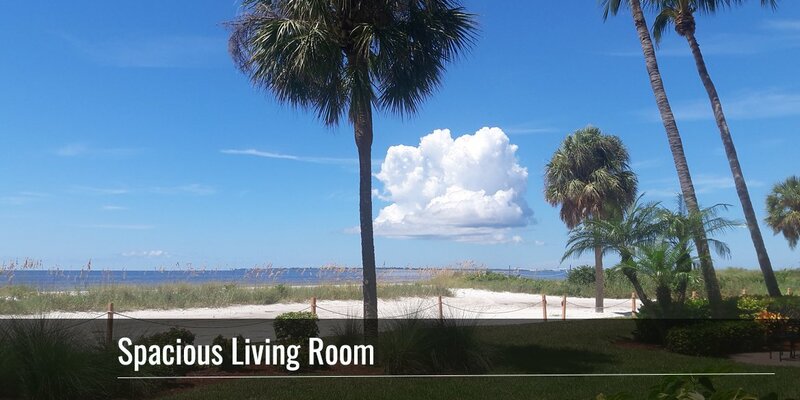 These two bedroom beach front vacation condos are located on one of the most pristine beaches on Florida's Gulf Coast (Gulf of Mexico). 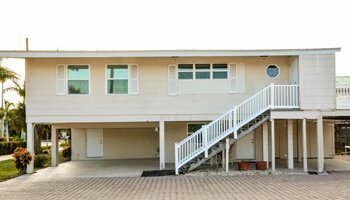 In addition to our condos, Cane Palm has now added a 3 bedroom beach house, “Fun in the Sun” to its rental program. 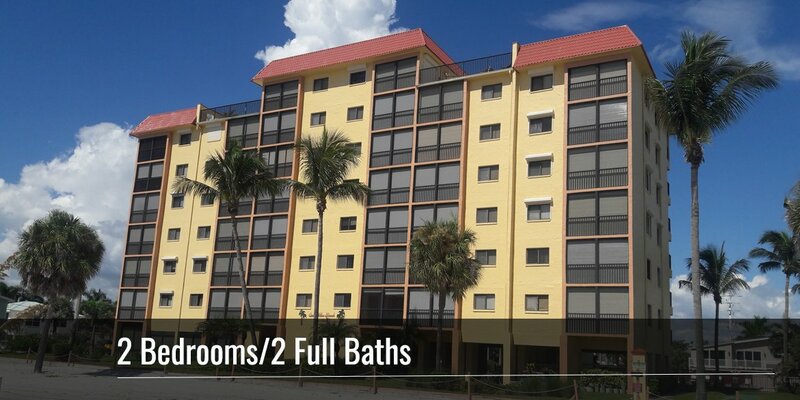 This house is located at the entrance to Cane Palm Beach Condo’s and has access to all the condo amenities. 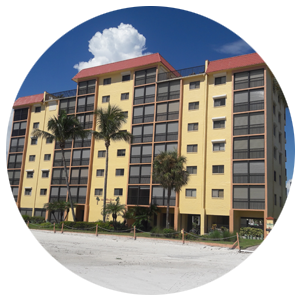 Cane Palm Beach Condominium is located on the quiet north end of Estero Island, also known as Ft. Myers Beach. 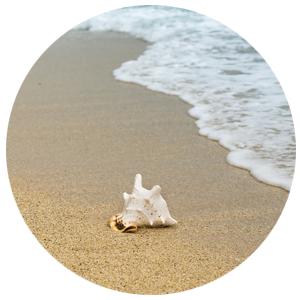 Nestled on the north end of the beach, Cane Palm, is just a short walk from the Times Square area of the island, as well as many shops and restaurants for you to enjoy during your stay at the beach. 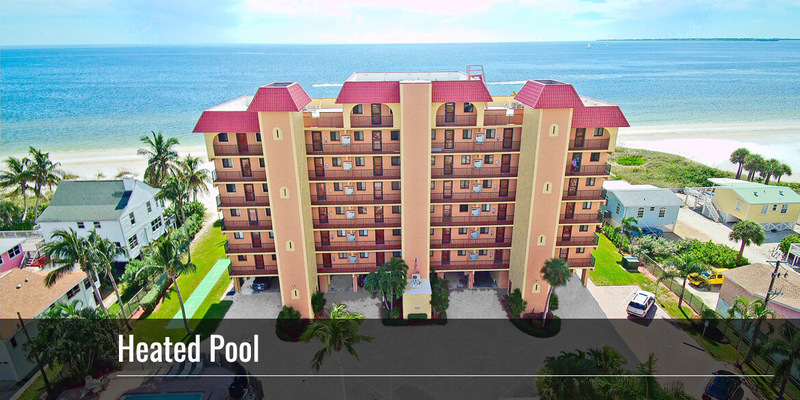 These magnificent two bedrooms, two bath beachfront condos are popular with couples as well as families who want a nice clean quiet place to take a break from the hustle and bustle of their daily lives. Every condo faces the Gulf from the screened patio and from your kitchen window an equally beautiful view of the Back Bay. In the morning, you can watch the boats head out for a day of fishing or the cruise ships for a day of sun and sea adventure, which makes being in the kitchen much more enjoyable. 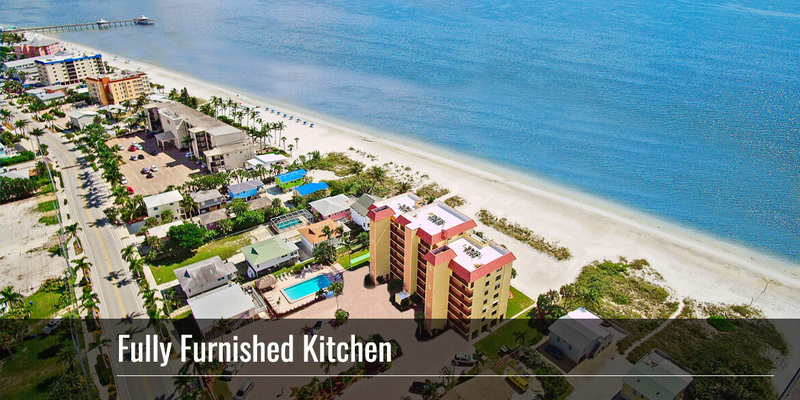 The kitchens have all the utensils and appliances you need for your stay. Want to bake a cake or brownies for the kids, you will find pans available, or maybe a key lime pie is to your liking, a pie pan awaits you. The bedrooms will have either a king or queen sized bed in the master bedroom, and the guest bedroom will have twins or in a few condos a king or queen, which is nice if there are two couples in your party. The master bathroom is located within the master bedroom, and the guest bathroom is just outside the guest bedroom. Towels and sheets are provided and once a week the linens can be exchanged for clean sets. Some condos have sofa beds which makes it possible to sleep six guests in the condo. 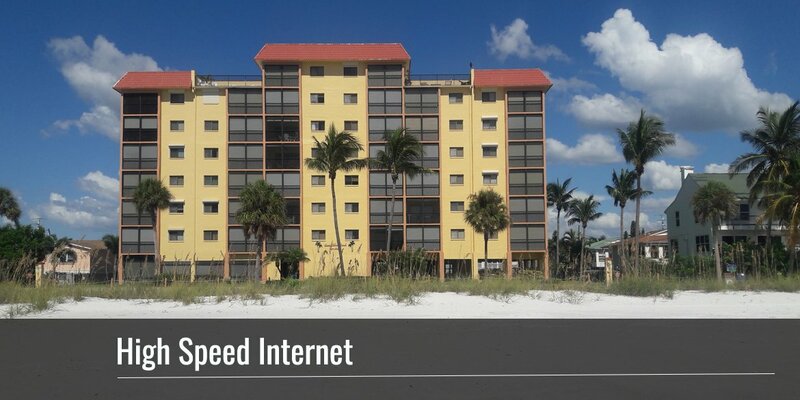 Cane Palm Beach Condominium is located on the quiet north end of Estero Island, which is also known as Ft. Myers Beach. 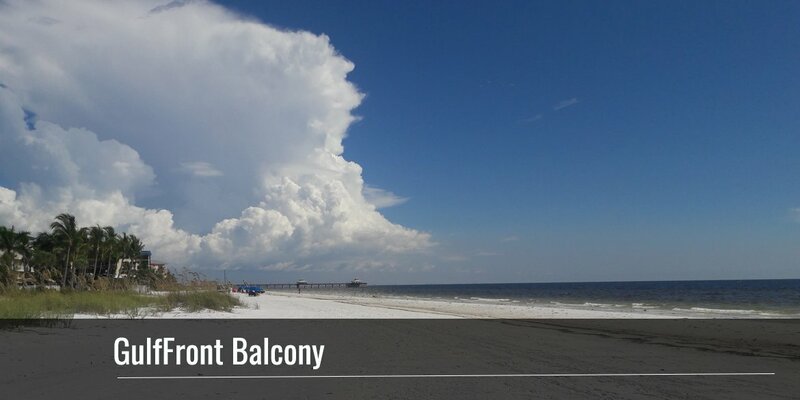 The two bedrooms, two bath beachfront condos, are popular with couples as well as families who want a nice clean quiet place to take break from the hustle and bustle of their daily lives. 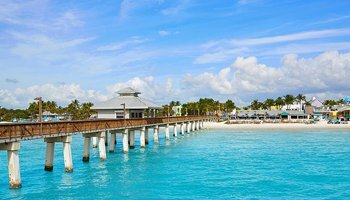 Fort Myers Beach sits on a little barrier island, about seven miles long, and the beach is fantastic – wide, gradually sloping, and thick with the area's justifiably famed sugar-sand. 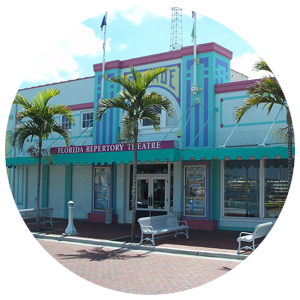 It is hard to imagine Fort Myers Beach as a remote island accessible only by boat, but that is how it all began until a bridge was constructed to bring tourists and locals to what is known as Estero Island. Boating, fishing, and spectacular Lovers Key State Park, make the island a recreational playground.